Utilissima introductio in libros De Anima Aristotelis. adiectis que eam declarant breviusculis Judoci Neoportuensis annotationibus. — (Colophon:) Impresse sunt he introductiones […] Liptzk per Jacobum Thanner Herbipolensem Anno […] 1506 tertio kl’as Apriles finite. 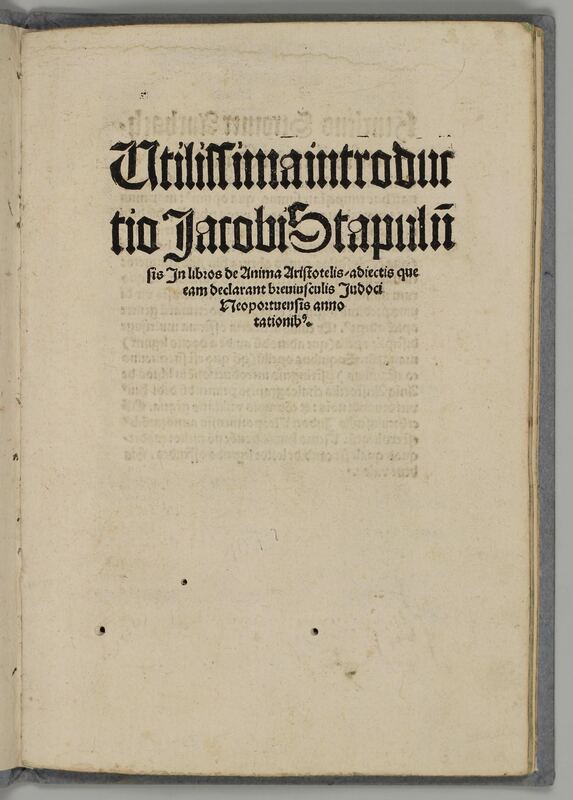 (Leipzig, Jacob Thanner, March 30 1506). 4to (250 x 138 mm). a6 b4: (10) leaves, b4 blank. Three wormholes throughout. 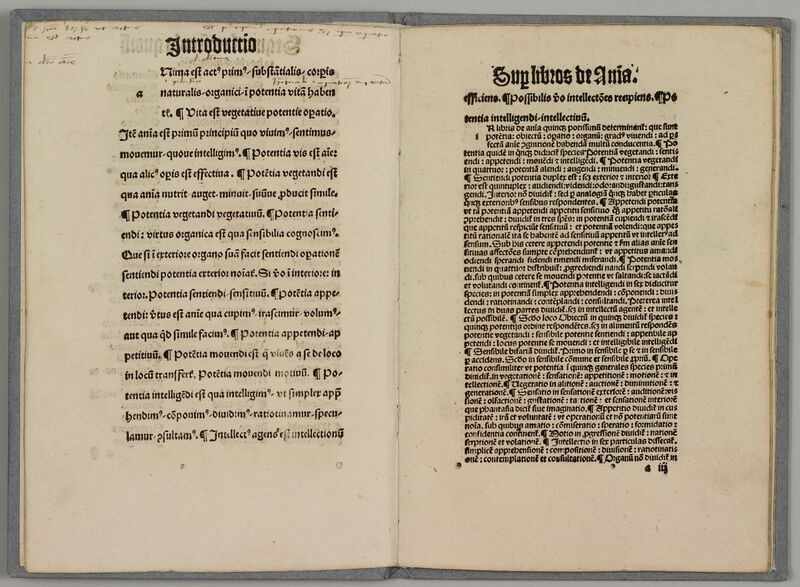 It seems, that this is the first separate edition of any of Lefevre’s introductions to Aristotle – in October 1506 only an edition of the introduction to the Nicomachean ethics was published in Venice. 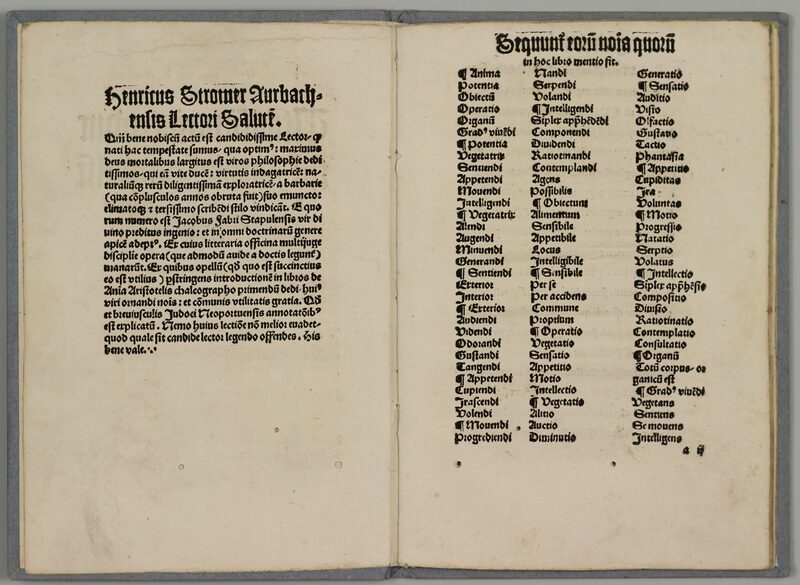 Edited by Henricus Stromer (also: Henricus Auerbach), in 1508 Rector of Leipzig University. 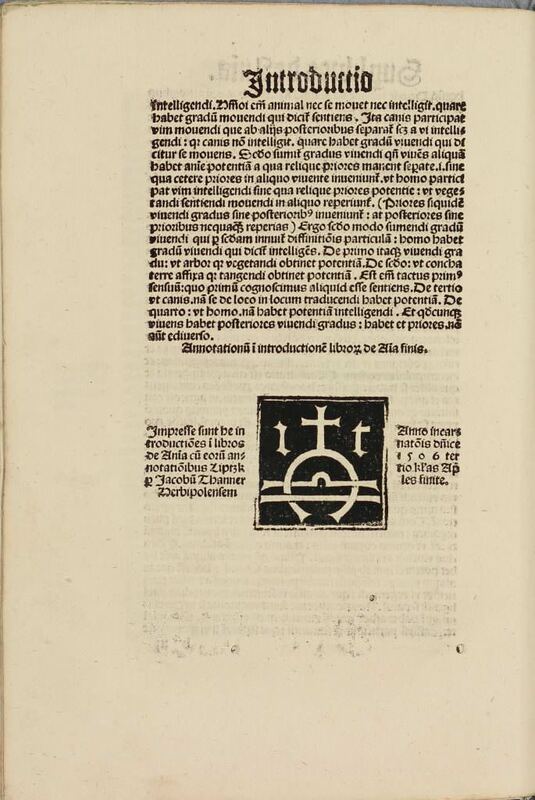 Lefevre’s introduction is printed in double line spacing like in a Vorlesungsdruck, Clichtove’s commentary has the usual setting. The book seems to be rare: catalogues, online and printed, show 7 copies only: Stanford, Stockholm, Budapest, and four in German libraries. – VD16 L-964.